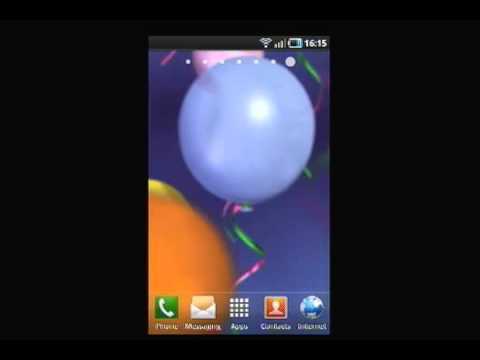 This Colorful Balloons Live Wallpaper adds a little whimsy to your Android device. The app features a flurry of brightly colored balloons floating across your screen. Festive! Note: Not all Android devices support live wallpapers. Before purchasing, check by clicking on Menu, then Wallpapers, and look for Live Wallpapers in the list. Works for phones with live wallpaper feature. Not all handsets support the live wallpaper feature. If you find any bugs please do not hesitate to contact me at e-mail and I will take care of it ASAP.